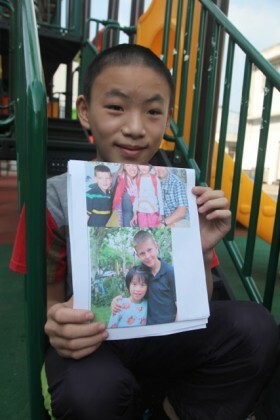 We have adopted two boys from China and are currently in the process of adopting two more. We treasure them and they have been great to have as a part of our family. 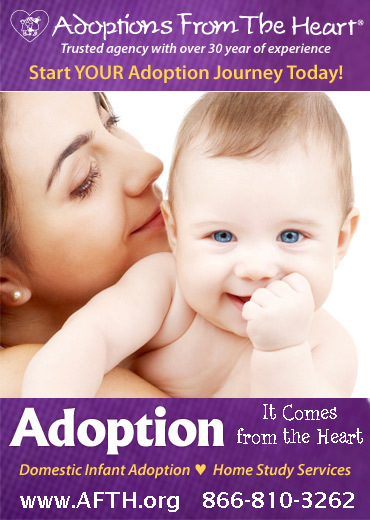 We adopted our first son, Michael, at age 3. At first, he did not like me (mom) and bit me several times before we even got home from China. He called me by my first name instead of mom, which I thought was pretty funny. He attached well to my husband, and would only acknowledge me finally when my husband went back to work. I was so oblivious the first time he called me mom. He was calling me mom and I was so used to him using my first name that I didn't even think he was addressing me! Michael loved food too. For months after we brought him home, he would saunter into the kitchen and ask me what I was doing. I would tell him that I was making dinner. He just couldn't believe there was a home cooked meal on the table every night. Well, now he is ten. Except for the fact that we look different, no one would guess he's not my bio son. He's very affectionate with me and is a natural part of the family, including bugging his big sister! He's intelligent and handsome and funny and so great to be around! I know I'm bragging, but every word I say is true! Our second son we adopted at age eleven. He was a nervous wreck when we brought him home. He'd had it pretty hard in China. He had a partial repair of cleft lip and palate, but needed further surgery in order to speak clearly. We couldn't understand a word he said even though he tried hard to speak English. He didn't want to learn to read and write, he didn't have much respect for women, and he generally didn't obey unless my husband really got on him. But that was in the distant past, today he's a completely different young man. He'll turn 16 in a couple of weeks. He's an “A” student at a very advanced charter school we send him to. He just took a practice SAT and scored in the 85% for math. And he's only a freshman in highschool this year. He's made friends and gone to birthday parties. He loves dogs and is becoming a great cook. He's very reserved, and yet, very warm. We love him! So we are going back for two more. The ability to watch the transformation of a child who just needs a helping hand is truly not to be missed. God loves these kids and blesses the work of our hands. My husband and I have given up vacations, quiet evenings, and a large portion of our savings.